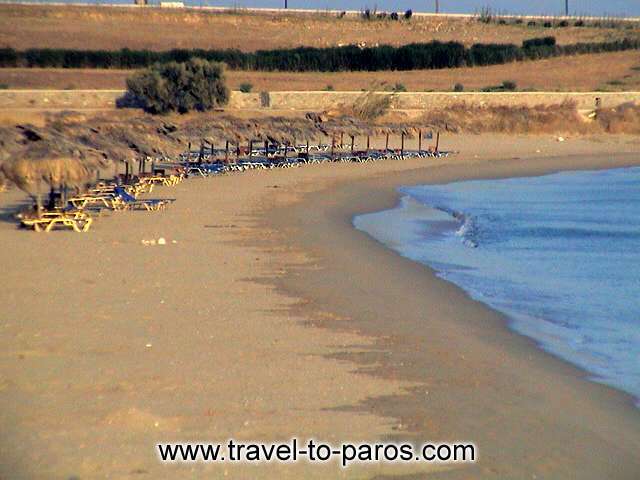 Chryssi Akti (Golden beach) is one of Paros’ most famous beaches with the biggest sand stretch on the island. 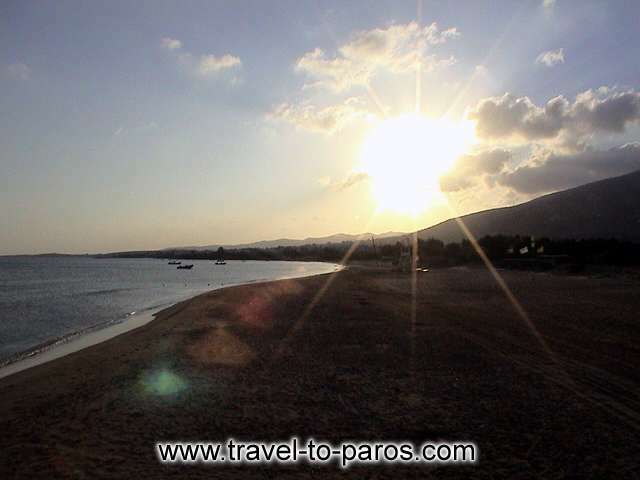 Within 22 km from Parikia and near the seaside village of Drios. 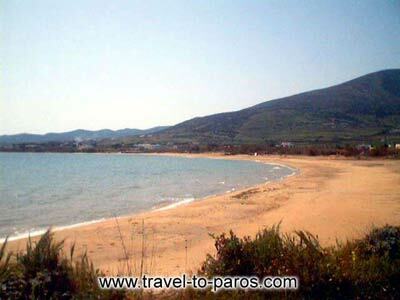 It is the most beautiful beach and as the name declares, its main characteristic is the golden sand and the light blue waters. Also, Chryssi Akti is very well organised and it offers swimmers many facilities. It is the perfect choice for people who like sea sports as it is a world surfers beacon paradise. 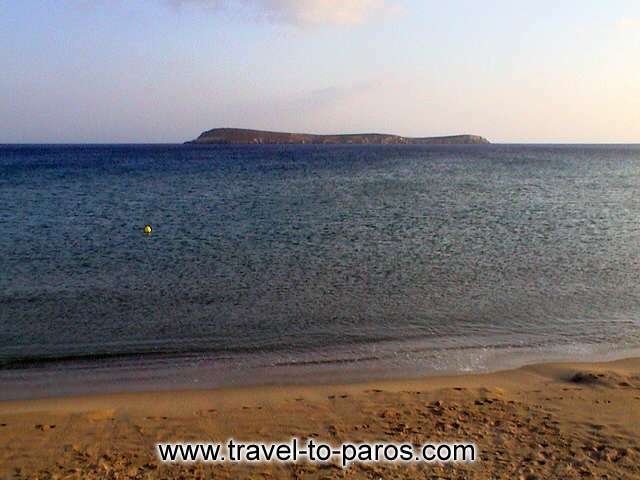 The beach was awarded the Blue Flag.